The cost of duodenal switch surgery can range from $20,000 to $30,000. The good news is that most bariatric surgery insurance companies will cover some of the costs of this expensive bariatric surgery. The hospital facility fee. This operation may require a two to five day hospital stay. Post-surgery behavior, exercise and diet counseling including the cost of vitamins and supplements. Additional body contouring surgeries to remove excess skin, lift sagging body areas, improve loose muscles or treat fat deposits such as a facelift, breast augmentation, breast lift, abdominoplasty, male breast reduction or liposuction. To learn more about results from these types of post-bariatric surgery procedures, you can review breast augmentation before and after pictures. Geography. The duodenal switch cost is higher in urban areas, such as Boston and San Francisco, because overhead is higher there, and surgeons are in greater demand in more densely populated areas. What is the cost of the duodenal switch surgery? What does the duodenal switch cost include? Some bariatric surgeons will quote one all-encompassing price, while others will quote the surgery cost only and not take into account pre-op tests, hospital charges, follow-up care and counseling appointments. 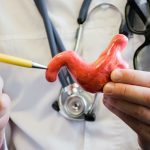 Will my insurer cover all or part of the duodenal switch surgery? Will my insurer cover any complications or additional operations after duodenal switch surgery? Do you offer patient financing plans to help with the cost? Greg H. Jossart, MD, graduated from the University of Minnesota Medical School in 1991 where he was awarded the Undergraduate Student Research Award. He completed his general surgical training at the University of California, San Francisco Medical School from 1991-1998. During that time he completed a two-year fellowship in endocrine surgery. He then completed a fellowship in laparoscopic surgery at Mount Sinai Medical School in New York City. He returned to San Francisco in 1999 to become the Director of Minimally Invasive Surgery at California Pacific Medical Center. Dr. Jossart is a Diplomate of the American Board of Surgery and is a Fellow of the American College of Surgeons. Since 1998, he has limited his practice to advanced laparoscopic surgery, needlescopic surgery, endocrine surgery and laparoscopic surgery for morbid obesity. He has initiated and pioneered several new procedures in laparoscopic surgery, including the laparoscopic duodenal switch procedure for morbid obesity.